There is a lot of great discussion happening on the School Counselor Blog Facebook Page Each Friday I plan to share some of the week's most popular posts and fan questions from the School Counselor Blog Facebook Page. School counselors have back to school on their minds! Lots of school counselors are looking for ideas for next year or ideas for just getting started as a new school counselor. Check out the questions below and then visit the links to read comments, suggestions, and ideas from other school counselors! Allie from The Creative School Counselor blog is looking for ideas of how school counselors partner and collaborate with the local community to provide resources for students and families. What partnerships have you created to benefit your students and families? Click here to read the comments. Cristina is looking for your favorite study skills resources and curricula for middle and high school! Click here to read the comments. Melanie from Stylish School Counselor is looking for song ideas to integrate into school counseling sessions and programs. What songs do you use in your work as a school counselor and how do you use them? Click here to read the comments. Berkeley has been applying for TONS of school counseling positions with no luck. She wants to know what other things you can do with a degree in school counseling when the market is not favorable. Click here to read the comments. 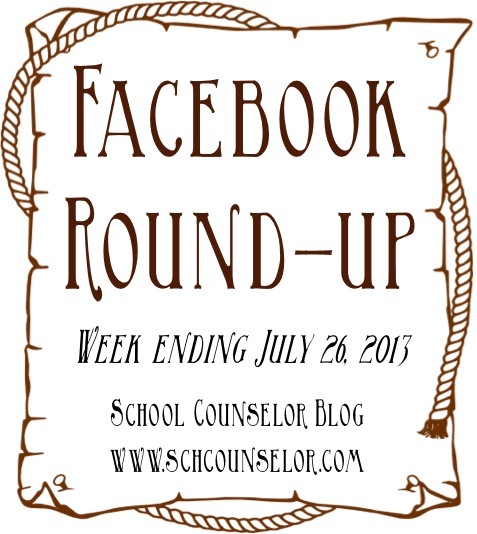 I have some big news for my School Counselor Blog facebook fans!! I just accepted a position as a middle school counselor for the coming school year!!!! Beyond elated!!!! Click here to read the comments. Joey will be doing an internship this fall at a K-8 school and is looking for furniture and office decoration recommendations. Share your decoration tips below! Click here to read the comments. Whooo wants a OWL theme this year? Nicole does! She found some good lessons and decor....(Whoo's in your family, Kindness is a hoot!, Owl about me) but she is wondering if YOU have more ideas for lessons, crafts, decor and other things that can be done with owls! She is especially looking for acronyms that they use O.W.L. Click here to read the comments. When is your first day of school and first day for students? Click here to read the comments. Tim is looking for your favorite school counseling resources for ALL LEVELS! He will be starting a new position serving four non-public schools - grades K-8 and 9-12. What are your favorite books and resources? Click here to read the comments. 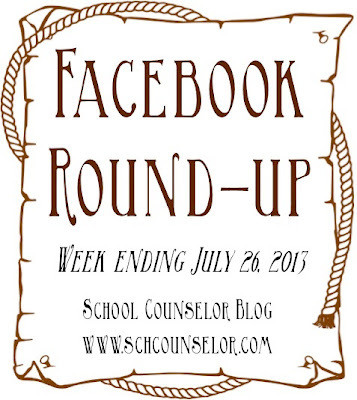 What questions do you have for School Counselor Facebook fans?